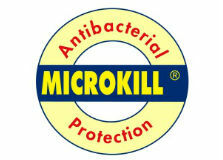 Wide range of fibres distinguished by quality, abrasiveness, performance, colours. Fibres whose peculiar performances for specific purposes outcome from the constant research of new solutions. Fibres submitted to particular processes whose results meet any request of the most demanding market. 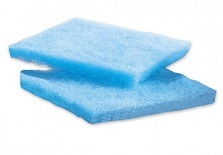 Polyester and cellulose sponge coupled with different types of all-purpose fibre. Abrasive cotton cloth made from eco-friendly components. 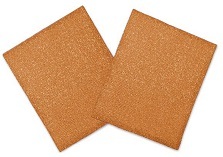 Sponge produced with a particular no scratch coating, especially suitable for the cleaning of delicate surfaces. 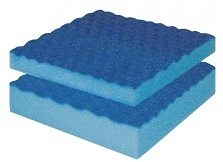 Sponges in polyether and cellulose with different density in a wide colour palette, also available as coupled with a massage sponge. Special fibre specifically developed for a delicate skin scrubbing effect. 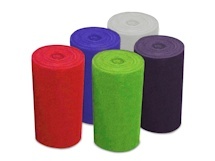 Pure cellulose sponge cloth in a wide colour palette and with inner weft for an enhanced resistance.